MGM Resorts International has unveiled its plans for a massive casino complex in downtown Toronto, featuring a 1,200 room hotel and a shopping mall, at a cost of up to $4 billion. MGM Resorts International has unveiled its plans for a massive casino complex in downtown Toronto, featuring a 1,200-room hotel and a shopping mall, at a cost of up to $4 billion. 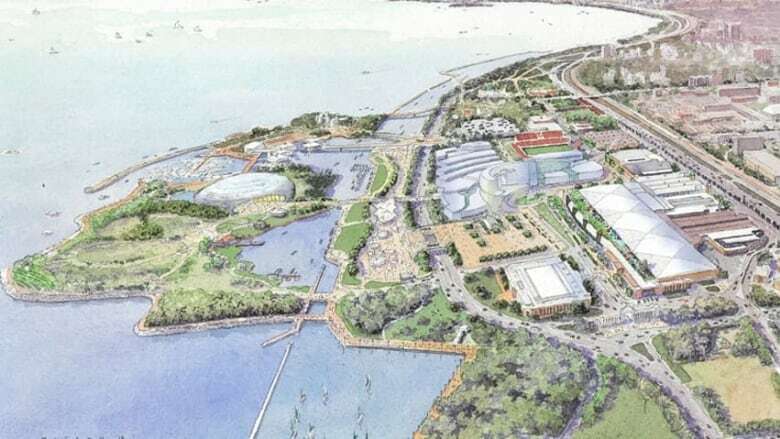 The complex would be built on the grounds of Exhibition Place, and feature a permanent home for the Cirque du Soleil. The proposal from MGM and developer Cadillac Fairview is one of several proposals for a downtown Toronto casino. The developers say their plan will bring in 10,000 permanent full-time jobs, as well as 4,000 construction jobs. "The jobs that can be created here, from our development alone, are 10,000 between the resort, integrated resort, and the retail space," said Alan Feldman, the vice president of MGM. "These are very good paying jobs, average salary of $60,000 a year." Mayor Rob Ford supports the idea of a having a casino built in the city, saying it would create jobs and boost revenue. But opponents of the casino, such as Coun. Mike Layton, say it could double the rates of problem gambling in Toronto. "It's them painting the prettiest possible picture of something that's just going to take money out of our pockets," says Layton. Feldman says opposition to a downtown casino is "mostly emotion and fear-based." "What you will have is a whole lot of people working," he said. MGM's plan includes taking 3,500 existing parking spaces and pushing them underground, and adding 8,500 more, the CBC's Jamie Strashin reported. Also, the CNE midway would be moved to the other side of Lake Shore Boulevard, and a series of bridges would be built, he added. There would also be an enhancement to the existing Molson Amphitheatre that would create a Canadian Music Hall of Fame at Ontario Place. The plan also includes an expanded transit network, with both GO and the TTC bringing in people in and out of Exhibition Place, said Strashin. However, those promises hinge on the co-operation of other municipal agencies, he added. Casino would bring cash to Toronto, but how much?